We are conveniently located on Route 110 on the Westford/Littleton line. Just seconds from exit 31 off of Route 495. 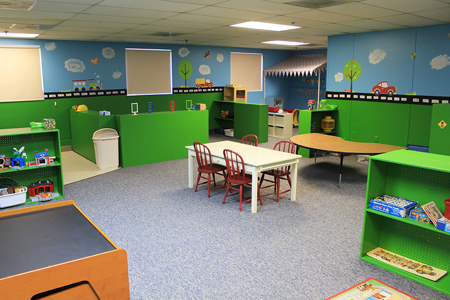 Our center is spacious and clean with classrooms that are fully equipped with age appropriate learning materials for creative playing and learning. We also offer large indoor and outdoor play spaces that support lots of fun gross motor activities. We have recently installed a security system with a key pad entry to ensure a safe environment.